​Malice Fortnite skin was officially added to the Item Shop as an exclusive daily item. The new Fortnite skin is a legendary item and will therefore cost quite a few V-Bucks to buy. Epic Games introduced a new Fortnite skin Thursday in the Item Shop. Malice is a Fortnite skin based on a demon. 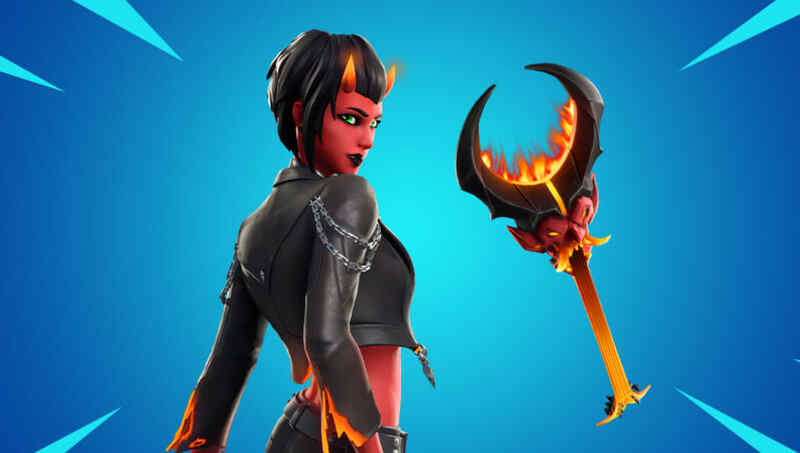 The skin has glowing horns, red skin, and can be paired with the Burning Axe pickaxe. There is also a small tail seen behind the Malice skin. Malice will cost 2,000 V-Bucks to unlock from the Item Shop. The skin's pickaxe, Burning Axe, will cost 1,200 V-Bucks.​ There does not appear to be a special back bling that is meant to be paired with Malice. The skin will likely leave the Item Shop when the store resets tonight.